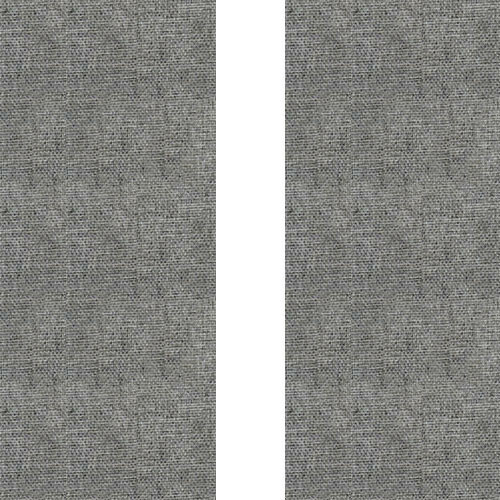 The F103-2448-08 3" Thick Broadway Panel Control Columns (Gray) from Primacoustic is a set of high-density absorptive panels designed to provide an acoustic treatment where you want to control primary reflections, eliminate flutter echo, and reduce standing waves. A typical installation includes a series of these panels installed between the sound source and the listener, usually spread across a wall surface with space between each panel. This configuration allows energy to reflect back into the room to prevent deadening of the acoustic space and leaves a sense of balance and natural ambient acoustics. This model is made from 6-pound-per-cubic-foot fiberglass and has a panel depth of 3". It also features square edges. The set includes (4) panels, which are sufficient for a total surface coverage of 32 square feet. Mounting the panels on Primacoustic's Offset Impalers can create a space between the panels and the mounting surface to further enhance the absorptive performance of this product. Dimensions (HxWxD) Panel Dimension: 48 x 24 x 3"
Box Dimensions (LxWxH) 49.0 x 25.0 x 13.0"